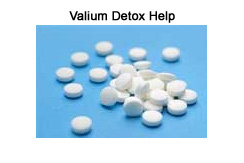 Valium Detox Treatment | Do I Need Detox For Valium? Valium Detox Will It Work? Prescription drug use is the fastest growing drug problem in the United States. There are over 6.2 million individuals in the U.S. that overuse pharmaceuticals and that number is growing with each passing year. Valium or diazepam is a benzodiazepine. It is primary used for a muscle relaxer and anti-anxiety medication. Valium is also prescribed to treat alcohol withdrawal symptoms, anxiety and seizures. If taken incorrectly and in high doses, Valium has the potential for physical dependency. Individuals who take other drugs should be monitored when taking Valium which is why it is important to find a top rated Valium Detox Treatment Center. Overuse of Valium can be life threatening. It is not uncommon for recreational Valium users to also overuse other drugs as well because it creates a more euphoric sensation. Valium can reduce the effects of some other drugs. Seniors and individuals suffering from liver and kidney problems who take Valium may experience a buildup of the drug in their system which can lead to other health issues. Women who are pregnant and take Valium put their babies at risk. Prolonged overuse of Valium can cause the development of a higher tolerance. Individuals may increase their dosage in an effort to achieve the same high. Some people who take Valium may experience side effects such as difficulty breathing, nausea and constipation, memory loss, dizziness and drowsiness, agitated, dry mouth, confusion, hallucinations, irrational behavior, depression, vision problems and impaired judgment. Taking Valium with alcohol can increase the side effects and may lead to overdose which can be fatal. The severity of withdrawal symptoms from Valium will depend on how high the dosage and how long the drug has been taken. Individuals may experience withdrawal symptoms after only taking the drug in succession for a few days. It is not encouraged to quit Valium use cold turkey. Withdrawal symptoms include sweating, insomnia, nausea and vomiting, anxiety and irritability, diarrhea, loss of appetite and weight loss, abdominal cramps, tremors, increased heartbeat and seizures. In extreme cases withdrawal from valium as well as other benzodiazepines can be life threatening. Some individuals prefer an outpatient medical detox program that allows them to continue in their daily life. An outpatient method requires the individual to self report to the clinic or doctor's office to receive medication to help them through the detox process. Medical Detox Or Hospital Detox? Inpatient Valium Detoxt Treatment is available from a hospital or a private center. Traditional hospital medical detox allows individuals to stay for a specified amount of time and receive medication while they detox. This method has been met with some scrutiny as hospitals usually keep their detox patients in psychiatric units and the medication they often use is seen as less effective at eliminating the withdrawal symptoms discomfort. IV therapy medical detox has been viewed by doctors as the safest and most effective method for detox from Valium as it uses intravenous therapy. IV therapy makes it possible for the medication to be adjusted to meet the withdrawal symptoms which keeps the patient comfortable and able to complete the detox. After your detox is complete it may be necessary for you to enroll in a program that can help you rebuild your life after Valium use. Freedom Model Retreats offers an educational cognitive behavioral program that can help you achieve long term success that is permanently free from drug use.